These are the first pictures of the new Citroen C3 Aircross, a brand new SUV that will go on sale towards the end of this year. 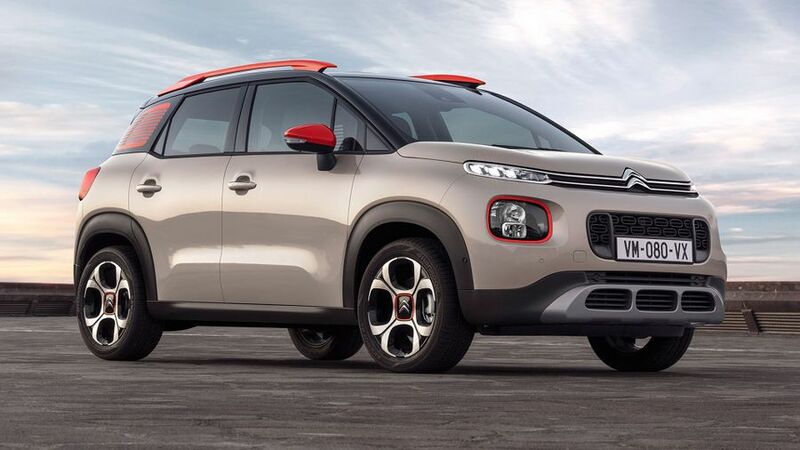 It’s further evidence of Citroen’s plans to capitalise on the growing market for SUVs, and follows hot on the heels of the C5 Aircross, which was revealed at the Shanghai Show in April. 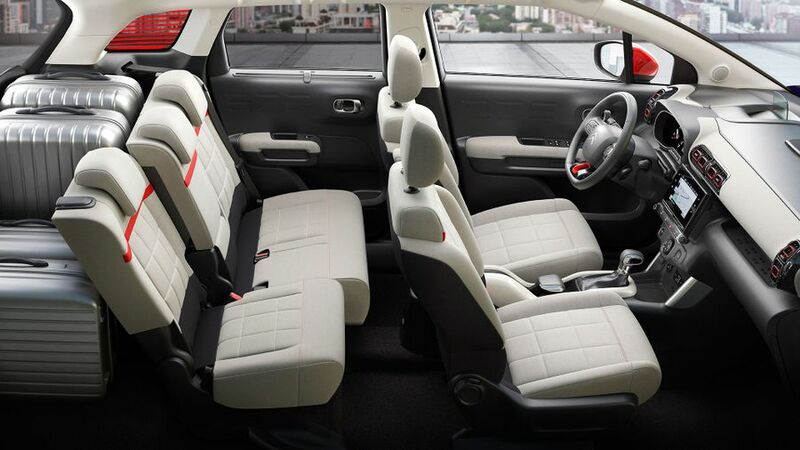 The new C3 Aircross is a smaller model that clearly follows on from the C-Aircross concept from March’s Geneva Show. Where the C5 Aircross will rival the likes of the Nissan Qashqai, Peugeot 3008 and Seat Ateca, the C3 Aircross will try to attract buyers who would otherwise be tempted by the Nissan Juke or Vauxhall Mokka X. At 4.15m long, the C3 Aircross is almost identical in size to the Juke, and its styling is very clearly in keeping with the latest Citroen models, like the C3 (with which it shares much). The colour on the roof bars and the ‘Venetian Blind’ rear quarter-lights are particularly distinctive, but at the same time, the car has all the hallmarks of an SUV: raised ground clearance, a high driving position, front and rear skid plates, and wheel arch extensions. In addition, it also offers huge scope for personalisation. There are up to 90 exterior colour combinations, including four roof colours for two-tone models and four ‘Colour Packs’, which affect the colour of the roof bars, rear quarter-lights, door mirrors, headlamp surrounds and wheel centre caps. There are also five interior design schemes for the five-seat cabin, which, according to Citroen, provides class-leading space, and is flooded with light, thanks to the panoramic glass sunroof. The infotainment system is centred on a 7.0-inch touch-screen, which controls the air-conditioning, stereo, telephone and sat-nav. In addition, among the technology available on-board will be wireless smartphone charging, Android Auto, Apple CarPlay and MirrorLink smartphone connectivity, and Citroen’s ‘Connect Box’, which allows the driver to get help in the event of a breakdown or accident. Buyers will also be able to opt for split-folding/sliding rear seats and a fold-flat front passenger seat, while the boot capacity of 410 litres (which increases to 520 with the rear seats slid forward, and 1289 with all the rear seats folded down) is larger than in the Juke or Mokka X. In addition, there’s a removable luggage shelf that can be stored in a vertical position behind the rear bench when carrying taller objects, while the dual-height boot floor provides a flat floor with the rear seatbacks folded down. Plus, there are lots of storage cubbies dotted around the cabin. There will also be a wide choice of engines – three-cylinder PureTech 82, 110 and 130 petrol units, as well as BlueHDi 100 and 120 diesels – and manual or automatic gearboxes. Despite the SUV looks, the C3 Aircross does not come with four-wheel drive, but it will be available with both Grip Control and a Hill Descent Assist system to give it some ability away from Tarmac. The car is also available with a range of driver-assistance systems, including Active Safety Brake (which can automatically apply the brakes in an emergency), Lane Departure Warning, Blind Spot Monitoring and a Coffee Break Alert system, which warns the driver after driving for two hours at speeds over 43mph. There’s no word yet on how much the car will cost, but given its rivals, we expect a starting price for the range in the region of £15,000. 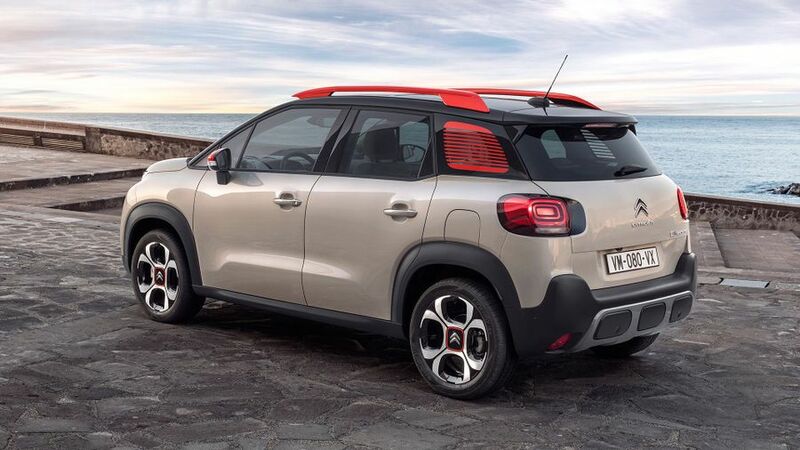 However, what Citroen has confirmed is that the C3 Aircross will officially go on sale in the UK at the beginning of November. Interested in buying a Citroen ?